I tasted my first Marsannay wine in 2014 and immediately knew that I had to make it as my Christmas welcoming drink for that year and sure, I was right. Our friends immediately took a liking for its fruit flavours, energetic appeal and its easy drinking style. This is one that would bring friends close together on a cold wintery night! 1) Marsannay AOC (Appellation ďorigine contrôlée) is a Village Level Appellation covering the communes of Marsannay-la-Côte, Couchey and Chenôve. 2) Marsannay is the entry point of Burgundy, being named as the “Golden Gate” (Porte ď'Or) to Cote de Nuits. It is only 6 km south of Dijon, a historically important administrative and cultural centre and now a sprawling city with a growing population of almost 250,000. Dijon now competes with Lyon and is on its way to becoming one of the upcoming gastronomic capitals of the world. Dijon is the closest airport to reach if you want to visit Burgundy. 3) Marsannay is the latest to be included in the List of Burgundy Appellations, having received its AOC Registration in 1987. 4) Marsannay is also the only appellation that covers production of red, white and rose which is very unique to Burgundy as all other rose wines are limited to regional appellation Bourgogne. 5) Red wines dominate the wine production here using Pinot Noir as the main varietal. They have an intense fruit driven concentration, moderate ripe tannins and pair very well with meats and vegetarian foods. Though it falls short on its range of complexity as the Grand Crus and Premier Crus of neighbouring villages of Fixin and Gevery Chambertin, it is still shows the typical notes of earthiness, minerality and displays all the vibrancy and enjoyment of a young Burgundy. Wine making skills have definitely improved since gaining the Appellation status and many of the wine growers from nearby village ACs have since then, worked hard at producing and making better vintages. 6) White wines must have a majority of Chardonnay and in small amounts can include Pinot Gris and Pinot Blanc. 7) Marsannay has historically been praised for its Rosé wines. These wines occupy about a third of the production and one of the best wine making skills go into the production of rosés, some being barrel aged for many years and appreciably age worthy, which is so rare in Rosé wines. Marsannay is the secret answer to rose wine lovers and if you are looking for dry, crisp, fruit driven rosés with cherries, plums and floral rose notes, look no further. The Rosés must be included in your list of must have Marsannays. 8) The soil in Marsannay does vary but predominantly is a mixture of limestone, clay, stone and some gravel. The gradient is flat but interspersed with gentle slopes. Marsannay region gets shelter from the Cote (hill) so the climate here is relatively cooler and hence the reason for the lack the ripeness and intensity in flavours as the Crus further southwards. Many of the Marsannay producers are hard working young, third and fourth generation vignerons using experience gained from their forefathers. Modern viticultural techniques are in full swing and biodynamics and organic styles are very common, allowing more hang time for grapes during the growing season. Newer methods of wine making have taken over, retaining and enhancing fruit flavours in the wine whilst bringing out complexity by using a variety of new and old oak. Regis Bouvier started out on his own wines after separating from his father and brother in the family business in and since then has been earned a solo reputation especially from his Lieux Dits in Clos Du Roy and Les Longeroies. Their rosés are also quite remarkable- Dry with lots of cherries and minerality in them. Sylvaine Pataille’s family does not have history in wines. He is the first generation young winemaker who started off as a consultant oenologist in 1997. A strong believer in organic viticulture and natural wine making processes he started his Domaine in 2001 with a single vineyard in Marsannay La Cote, using only natural wild yeasts. Since 2001, he has acquired more vineyards across Chenôve. He amongst other young winemakes have been instrumental in bringing Marsannays to a competitive front on the international level. Note worthy are his wines from Lieux Dits in Close du Chapitre and Clos Du Roy. Jean Fournier is one of the Founding Fathers of Marsannay owning one of the oldest Domaines n Marsanny dating back to as early as 17th century. His son Laurent has taken over the reigns since 2001 and has been making very vibrant and plush wines with silky tannins and a beautiful structure. Using green harvesting and keeping yields low, the emphasis is on quality and retaining the Burgundy style. Domaine has now been certified organic. Well recognized Lieux dits are those of Clos Du Roy, Les Echezeaux and Bas Longeroies. Es Chezots is another clay rich terroir producing intensely fruit driven, toasty, spicy and sweet smoky version of age worthy Burgundies. 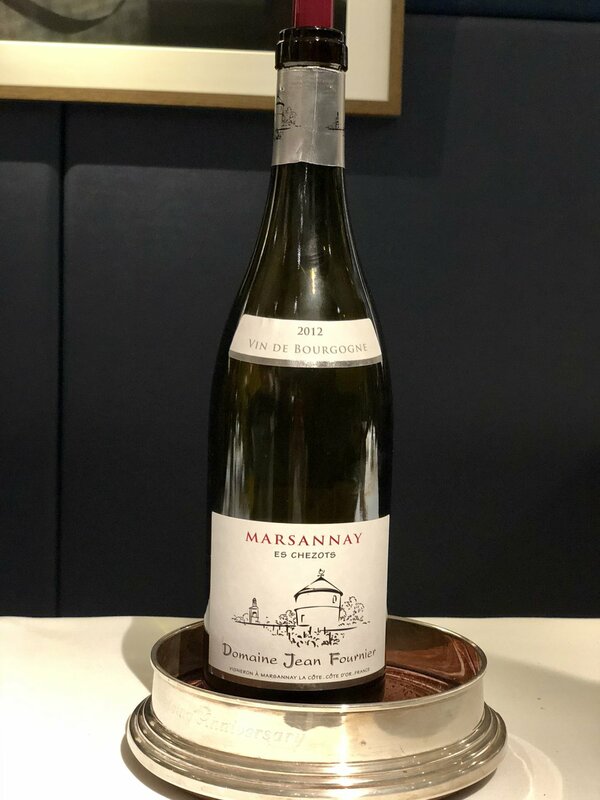 Marsannays are great economical and affordable source of quality driven Burgundy wines that have a modern, youthful fruity appeal closely resembling New world wines with a good potential to age, upto 8-10 years. At the same time they have retained notes of the Old World Terroir, creating an appreciable finesse and holding up the reputation of delicateness and immense balance that the Cru Burgundies command, but without the having an opulent price tag attached to it. At a time, when prized posessions from Clos de Vougeots, Vosne Romanee and La Chambertin get all the attention and spotlight, Marsannay producers stand out quietly as the the coy sibling, which has lately begun attracting attention with its bold and a beautiful character of its own, very distinct from the Cru status of its more established kith and kins, demonstrating its potential for future sustenance of Burgundies, as quality vintages become harder to achieve. 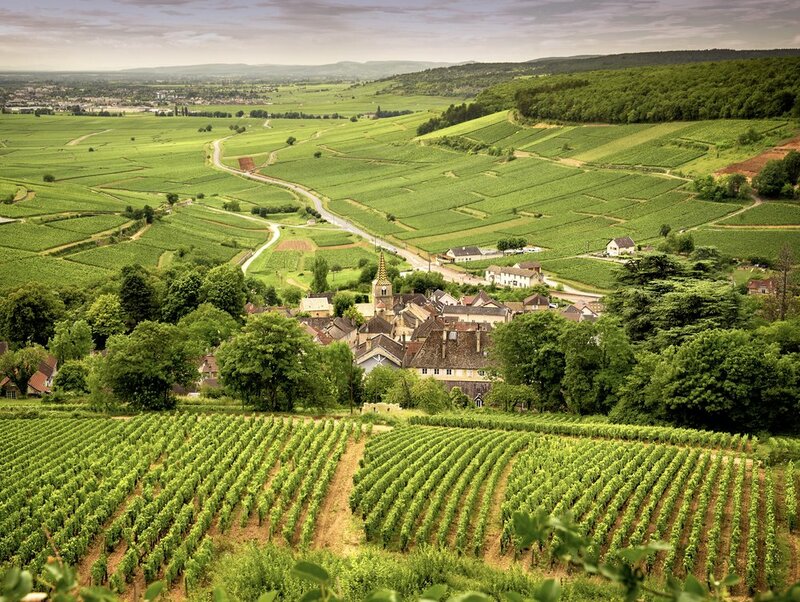 This article intends to refresh our memories that there is still a Burgundy simply called “Marsannay” without complex names to remember and one that is approachable, easy to drink without hefty price tag attached to it.